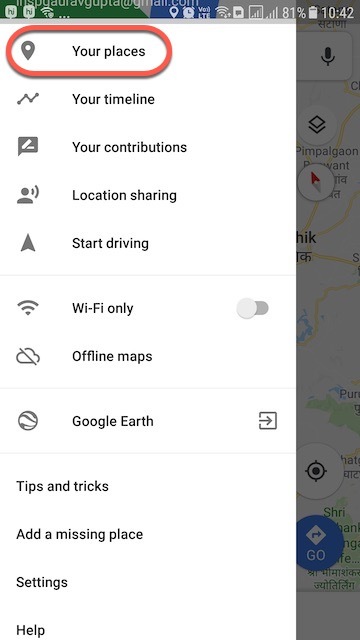 Do you also use Google Maps for navigation to the unknown places or to know the traffic status on the route your Home or Work Place? 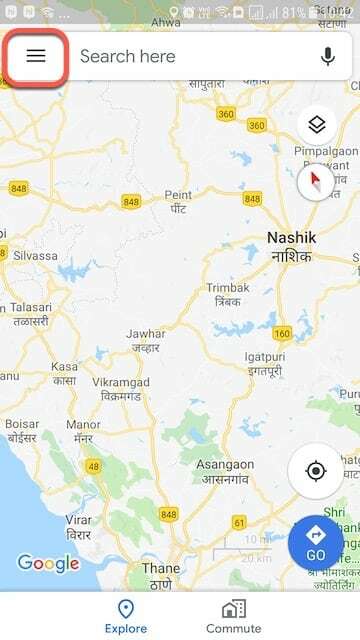 Google Maps helps you in reaching time. 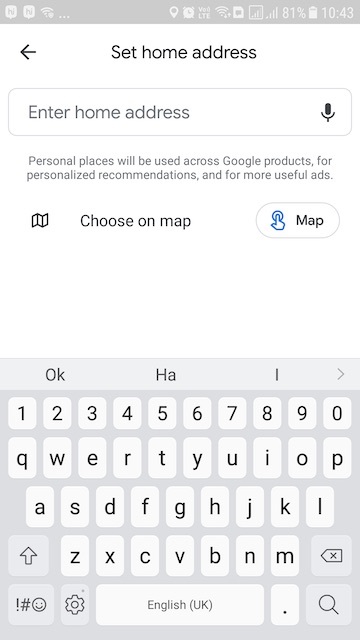 On a daily basis, if you also use Google Map from/to your Home/Work address, then every time you have to type these address. 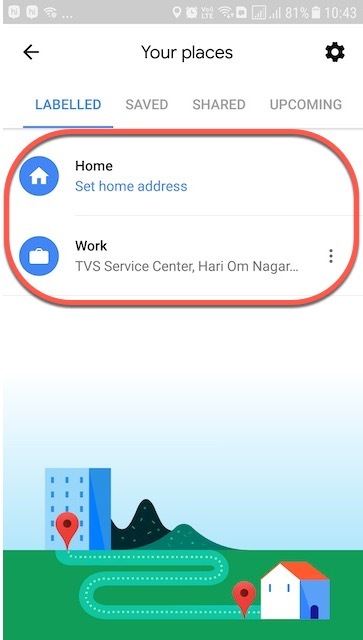 This can easily be sorted by just permanently adding your Home and Workplace addresses in Google Map. Yes, Now you don’t need to enter your Home/Work or any other favorite place addresses every time, you can save it on your device. It will save your time and you can instantly get direction from the selected place to your Home, Work or favorite place. 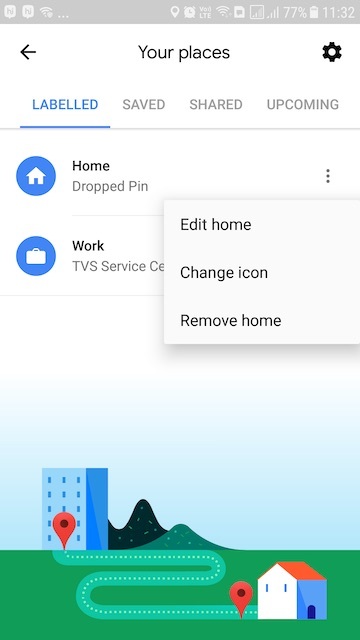 Let’s see How you can set/add or change your Home, Work address on Google Maps? First, we learn how to set or add Home or Work Address on Google Maps on Android/iPhone as well as a Desktop system. Step 2: Make sure that you are signed into the account if you want to know the procedure of “adding a new address to Google Maps”. Step 4: A sidebar will open. Step 6: Enter your present address in the search bar and click “Save”. Step 7: Now your address will be saved in Google Maps. In a similar fashion, you can also set the Work address. Step 1: Open Google Map App on your mobile device. Step 2: Tap on the ‘3 horizontal bar’ icon from the top left corner. Step 3: From the Sidebar, simply tap on ‘Your Places’ option. Here you can see ‘Labelled, Saved, Shared and Upcoming, Visited’ Tabs. Step 4: By default, you will be in ‘Labelled’ Tab, where you will get two Label: ‘Home’ and ‘Work’. Simply Tap on anyone that you want to Set. Step 5: On the next screen, Enter your Address or you can directly ‘Choose on Map’. Once set, then Tap on ‘Save’ Button from the bottom. Step 1: Enter the new home address and save it. 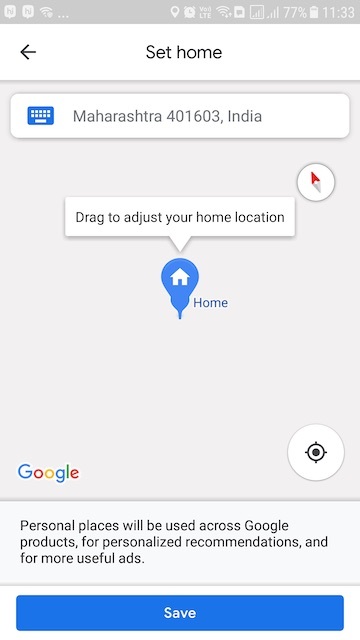 Step 2: From now onwards, your new home address will be displayed in Google Maps. (i) again Go to Your Places –> Labelled –> Home Address. Here as you hover your Mouse on this address, you will get an ‘X’ icon at the right of it. Simply Click on it to remove this address. (ii) Search ‘Home’ in the Map, you can see your Set Home Address with an Edit option. Click on ‘Edit’ and enter a new address and save it. Now you can again set your New Home address. Step 1: Open Google Map App. Step 2: Tap on ‘3 Horizontal lines’ icon from the top right corner and go with ‘Your Places’. Step 3: Under the Labelled tab, you can see the ‘3 vertical dots‘ icon next to your set Home/Work Address. Step 4: Now you can again set your new Home Address from Map, at last tap on ‘Save’ button after selecting the address/location. You can edit these addresses at any time by following the above-mentioned steps. You can use the above-mentioned steps to add or edit your business address too. If you have ever got a doubt of how to change my business address on Google Maps follow the above procedure.